at the Museum of the Bible. Experience The Four Holy Gospels in person at the Museum of the Bible in Washington, DC. View original art and painted pages. 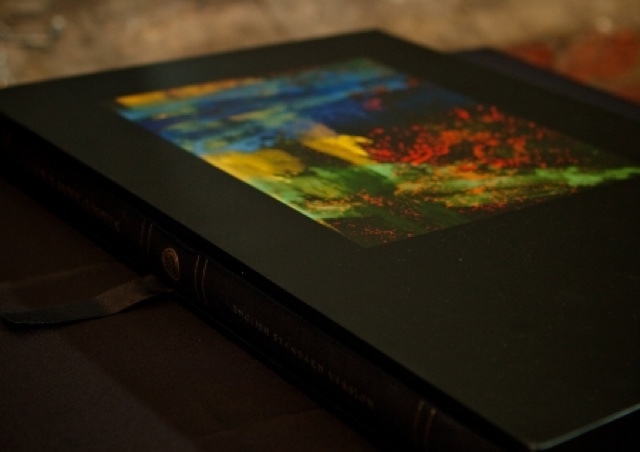 Learn about how the project continues the ancient art of biblical illumination. Visit museumofthebible.org for more information. The Four Holy Gospels is an exquisitely designed and produced edition of the four canonical Gospels in the English Standard Version, published in commemoration of the 400th anniversary of the King James Version (KJV) Bible in 1611. Sign up for Makoto Fujimura’s Refractions mailing list for exclusive updates on his work and exhibits.